One of the research and development goals for Trend Micro, Inc. is to improve the user experience and process for product localization. To achieve this goal, we need to understand the localization process. Localization is the process of modifying an application or product to support the requirements of a particular locale. 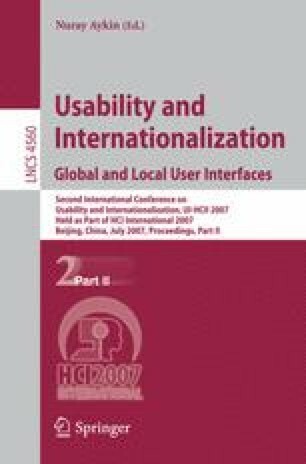 The paper was based on the discussions between the user experience group and localization teams. It involved studying the existing localization process, identifying the common pain points, and then proposing solutions for them. Because localization is the last link in the product development chain and focuses on content rather than function, there are obvious dependencies on product development, user interface design, and documentation. We found that to improve the user experience and process for localization, different functional groups must collaborate from the start of the project and design their deliverables with localization in mind. The proposed solutions to localization teams from the user experience group (including User Interface Design and Documentation) were aligned with the software development processes and helped to improve localized products.